Hello to all our wonderful blog readers! 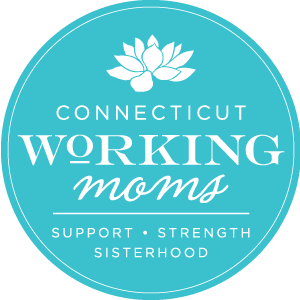 I am so excited to give you the scoop on some updates from us here at CT Working Moms. Now that we are in our 7th year, my fellow CT Working Moms co-mangers (Sara, Jessica, and Elise) got together for a brainstorming sesh. After writing for all this time, where did we want to see the website go? What is our next evolution? What really rose to the top for us is the fact that while we are all moms, we also have identities outside of being a mom. It’s so easy to let our parenting identity overtake those other aspects of ourselves, but truly we are whole women with a vast array of experiences. So moving forward our writers will be sharing more stories about their challenges, victories, struggles, and life lessons. We are all moms here, but we’re our own individuals too. Stay tuned for more posts that show all parts of our identities. We are also renewing our commitment to loving more and judging less. We deeply believe that letting go of our judgments allows more space for community, compassion and kindness. We strive to write our posts in a way that does not judge the experiences of others but rather just come from our hearts. On the design end, you might notice things look a little different here. We’ve updated our web design and switched website hosts. This means that our page will load faster, look better in mobile view, and will just be all around more reliable. We hope you like it! Thanks for being part of this website that is so special to all of our writers. We look forward to growing and evolving along with you.